Oftentimes in relationships, it’s really the little things that matter most. However, there’s a special kind of humor that comes from trying to make a huge gesture only to have its impact be far different from what you intended. Take, for example, Ellen DeGeneres’ surprise for her wife, Portia de Rossi, on the 15th anniversary of the day they began dating. DeGeneres tried to do something big only to have it shake out much differently than she’d hoped. Sometimes, size actually does matter. On Sunday, DeGeneres shared an Instagram video to mark the occasion of her dating anniversary with de Rossi. The video shows an airplane flying over the couple’s beachfront property. As the plane comes into frame, it eventually becomes apparent that there is a banner flying behind it, though, as de Rossi says in the background, “I can’t see it.” The banner is somewhat visible in the video, but it is comically small. 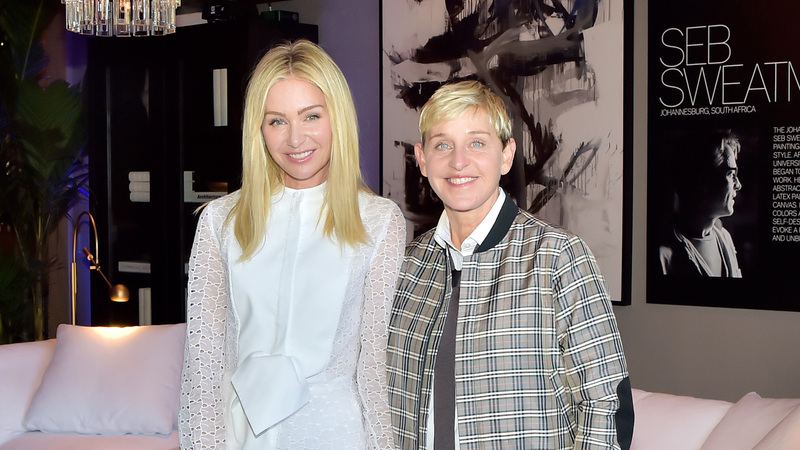 “Portia and I started dating 15 years ago today,” DeGeneres wrote in her video caption. “I hired a plane to fly by the house with a banner that said 15 with a heart. I should have specified the size.” Oops! De Rossi re-‘grammed DeGeneres’ video on Sunday and captioned it, “My wife surprised me with this for our 15th anniversary. Sometimes bigger is better….” We suspect this will be a funny memory for years to come. Although DeGeneres and de Rossi celebrated their 10th wedding anniversary in August, we think it’s sweet that they also appear to mark their dating anniversary, especially because of what it means for them as a couple and as individuals.